A top bar hive comb near the three entrances to the hive. 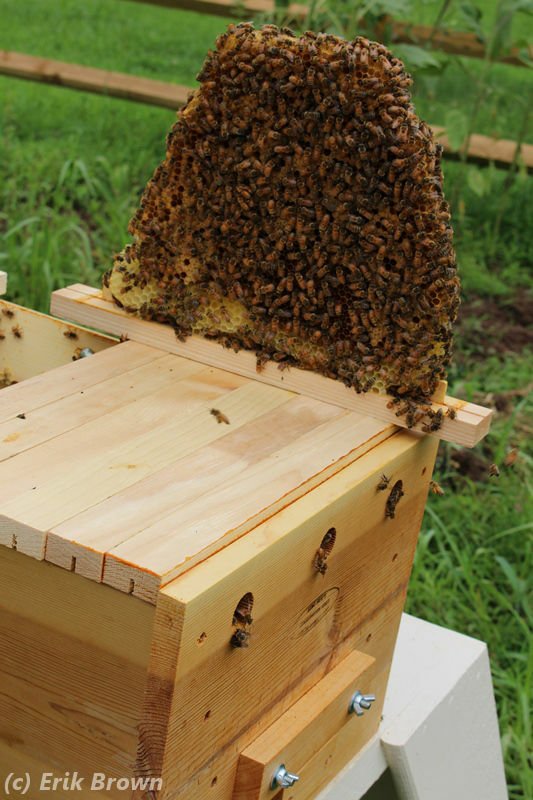 With the blooming season moving into summer, our top bar hive continues to crank out bees. Italian bees are known for going full steam ahead, and ours seems to be no different. I checked the hive on June 25 and so thought I would share this update. We’ve been experiencing the joys and challenges of beekeeping. Overall I am reasonably happy with our progress. 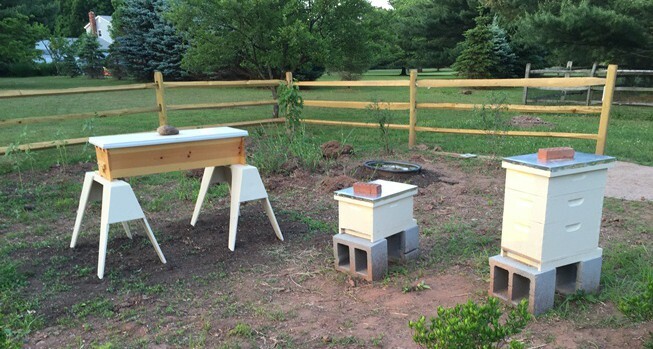 For our two Langstroth hives, one is booming and one has a new queen. The top bar hive continues to perplex me, though it seems to be doing well. Read on for the recent hive report. 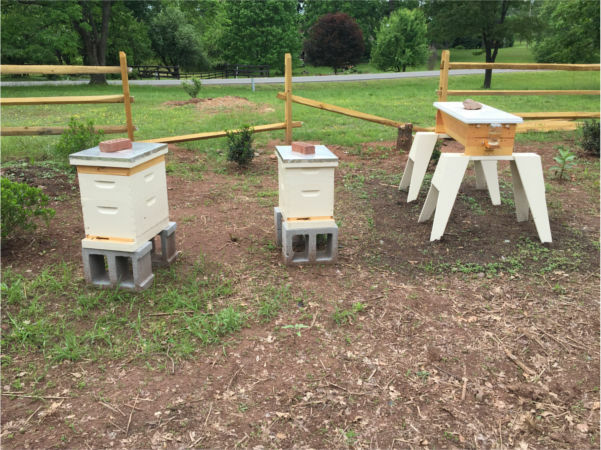 The hives on May 23, showing how we added a third box onto one hive (Mars) and reduced the middle hive (Jupiter) down to a single deep. Does naming something give us power over it? Fantasy books will often incorporate this idea as a key aspect of their world, from A Wizard of Earthsea to Eragon. I admit to being a long-time fan of the genre. In such books, knowing the true name of an object allows control over it.